If you eat a lot of potatoes, you'll want to read this one. This super easy afternoon project can end up feeding you and your family for weeks, and only requires minimal care. What's even better is that this potato tower can last throughout the growing season. 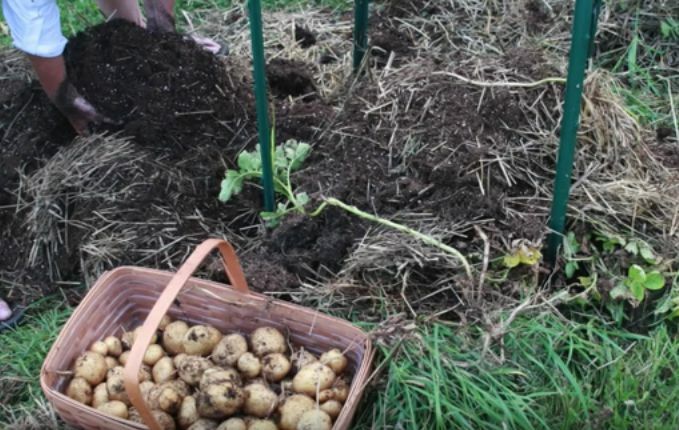 Start one tower in spring to have potatoes through the summer, another in the summer to last until autumn, and a final one in late summer to get you through to early winter. These towers keep warm and moist up until November -- meaning you can feed your family even longer. Ready to get started? Check out the list and video below. Take your fencing and create an upright cylinder that is about 2-3 feet in diameter. 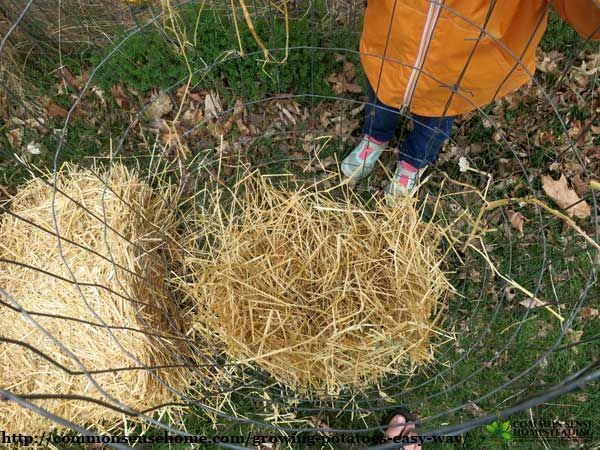 Fill the bottom of the tower with straw, then fill it up with about a foot of soil. 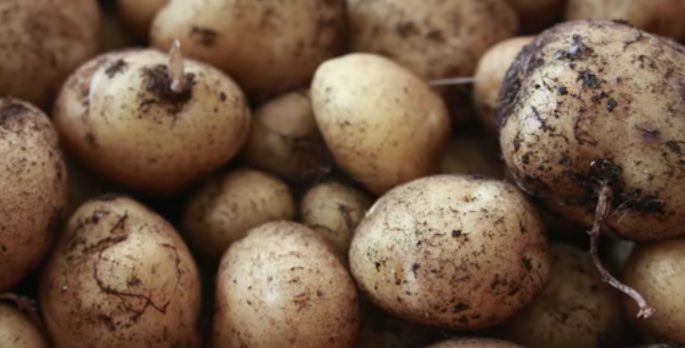 Place your seed potatoes about 3-4 inches from the edge, about 6 inches apart from one another. Continue layering the tower with straw, soil, and potatoes until you've filled it up to the top. 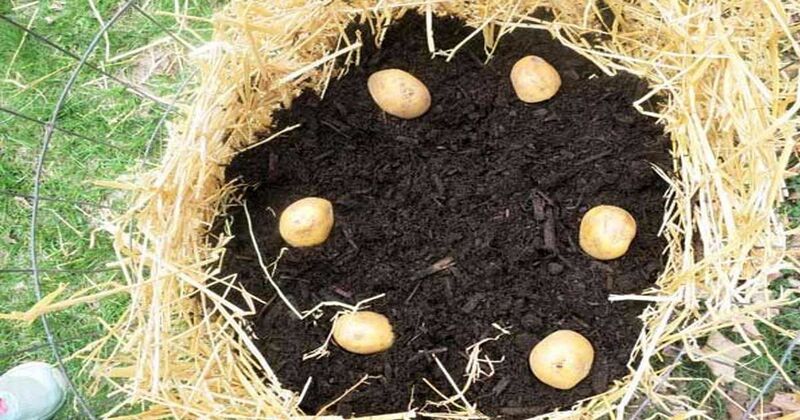 Keep your potato tower soil moist, but not oversaturated. In about three months you'll be ready to reap the benefits! Begin tearing your tower down from the bottom up. 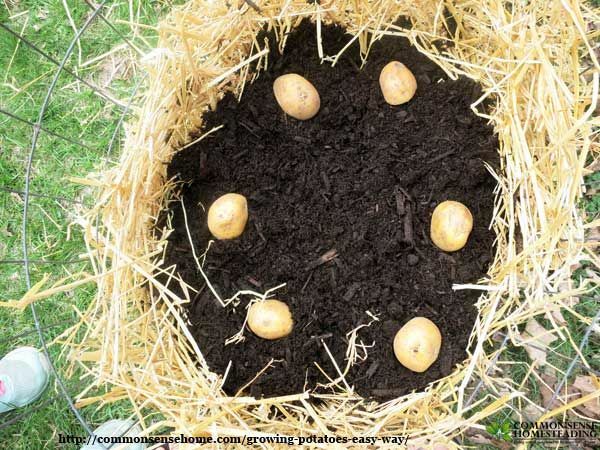 Reach in and begin grabbing your potatoes, then carefully take the others as you make your way through the rest of the soil and hay. Then, enjoy! Just look at these. In the video below you'll see that she grew pounds on pounds of potatoes from just one two pound bag of seed potatoes. Amazing right? Be sure to check out the awesome video below! Know someone who would love this in their garden? Don't forget to share it on Facebook, Twitter and Pinterest.